Siegfried Emil (Sid) Spindler, businessman, lawyer and philanthropist, was born on 9 July 1932 at Lodz, Poland. He was the son of Oskar Karl Spindler, business manager, and Gertrud Alma Spindler, née Bernewitz. Sid Spindler's life was shaped by his experiences in occupied Poland during World War II. The Spindler family were Volksdeutsche, ethnic Germans who held Polish citizenship and lived within a multicultural society comprised of Germans, Poles and Jews. The Nazi invasion of Poland in September 1939 was initially welcomed by the Volksdeutsche, but it quickly became clear that although their German heritage was recognised, the Volksdeutsche were regarded with contempt and suspicion by the Nazi authorities. During this period Spindler, like all children his age, was required to join the Jungvolk, the junior division of the Hitler Youth. Occupied Poland was not immediately affected by Germany's invasion of the Soviet Union in June 1941. However, following the collapse of Germany's eastern front during 1944 and 1945 many Volksdeutsche fled west to avoid reprisals from the advancing Red Army. In January 1945 Spindler, who had been evacuated with other children to a rural estate north of Lodz, was one of a party of 120 schoolboys and their principal who sought to escape. For ten weeks in 'utterly unpredictable, surreal chaos' they endured hunger, bitter winter temperatures, tank attacks and strafing by Soviet aircraft. By the time they reached Fuerstenwalde, north of Berlin, only seventeen boys remained in the group. Spindler was reunited with his parents in Magdeburg, Saxony-Anhalt, before the family was resettled in the town of Weissenfels. From July 1945 Saxony-Anhalt became part of the Soviet zone of occupation. As a schoolboy under the regime of first the Soviets and, from 1949, the East German communist state, known as the German Democratic Republic (GDR), Spindler began his political development. Under the influence of Werner Hueckel, a schoolteacher with 'a wide ranging humanist mind', Spindler absorbed 'the concept of democratic government based on the freedom of individuals to choose their representatives' together with 'the socialist ideal of sharing according to need'. Spindler and others began to question the authoritarian dogmas of the GDR; as a result he was blacklisted from attendance at any university. After several attempts, at the age of seventeen he was granted a permit to enter Australia; the journey was financed by a relative who had settled in Melbourne. Spindler claimed to be one of the first twenty post-war German immigrants to Australia. Later, Spindler's wife Julia said that 'when he arrived in Australia to see a country ruled by law and living at peace, he thought he was in heaven'. On arrival in Australia, Spindler took what work he could and in 1950 became an apprentice in a painting and decorating firm. His employer, also German-born, gave him the monicker 'Sid' as a way of averting hostility by Australianising his German heritage. Spindler became an Australian citizen in 1952. When Spindler completed his five-year apprenticeship, he began his own painting and decorating business. By 1961 his firm had twenty-five employees, and he would eventually employ nearly 200 tradesmen. Werner Hueckel sowed 'many seeds' in Spindler's mind, including the concept of worker participation, which Spindler introduced into his own business—hence the firm's name, Spindler Pollack and Staff Pty Ltd. In March 1958, at St John's Lutheran Church, South Melbourne, Spindler married Julia Margaret Evans; they had three daughters and a son. At this time Spindler combined intense physical work with an 'obsessive determination' to continue his education. He completed his matriculation through night classes at coaching colleges, and enrolled part-time at the University of Melbourne. Initially, Spindler studied arts subjects, but from 1959 he pursued a law course, and graduated with a Bachelor of Laws in 1967. Spindler later wrote that his gradual realisation of the enormity of the Holocaust 'shaped my determination to fight prejudice and inequality as the twin causes of violence, oppression and war'. By the late 1960s, he had developed 'a wish list of things that needed to be achieved on a global scale': democracy under the rule of law, the elimination of poverty, and 'education as a means of personal growth'. The involvement of Spindler and his wife in local community service organisations was the first step towards a commitment to seeking to change society through public service and political activity. In September 1972 the Spindlers joined the Australia Party (AP); he was soon elected as Victorian State Convenor, and he and Julia were the party's joint Victorian campaign managers for the federal election held in December 1972. The AP, led by Gordon Barton, had developed from the Liberal Reform Group, founded in opposition to Australia's involvement in the Vietnam War. Apart from the attraction of the AP's progressive social policies and anti-war stance, Spindler was drawn to the democratic structure of the Australia Party: policies were decided by membership ballot and parliamentary representatives were permitted a conscience vote if they disagreed with party policy. He also had 'strategic reasons' for joining the AP, believing that 'progressive change' was most likely to be achieved by a third force exercising the balance of power, rather than through the two major parties. Leaving his business in 1973, in the following year Spindler became administrator and social planner for the Outer Eastern Regional Council for Social Development, one of four pilot programs in Victoria under the Whitlam Labor Government's Australian Assistance Plan (AAP). This was an experiment in introducing direct community participation to social planning and funding. Spindler held the post until the AAP programs were discontinued by Malcolm Fraser's Coalition Government in 1977. Between 1978 and 1979 he worked in the Northern Territory as business manager for the Alice Springs Community College, then undertook a survey for the NT government into the needs of the territory's youth. As a result of his work in the Northern Territory, Spindler acquired 'an abiding respect and affection for Aboriginal people' and 'a strong and continuing interest in their quest for justice and a place in our community which takes account of their cultural and spiritual heritage'. Spindler was a key player in the founding of the Australian Democrats (AD) in 1977, formed by an amalgamation of the Australia Party and the South Australian based New Liberal Movement, and led by Don Chipp, whom he had approached to lead the Australia Party as early as 1973. Spindler was president of the Victorian branch of the Australian Democrats from 1985 to 1989, and a deputy national president from 1987 to 1990. From 1981 Spindler was senior adviser to Don Chipp, writing most of his speeches and press releases, and he continued in that role for Janine Haines when she took over the party leadership in 1986. After nine years in the role of senior adviser, Spindler was preselected in first place on the AD Victorian Senate ticket for the federal election of March 1990. During the campaign the Adelaide Advertiser ran a front-page story, taken up by other media outlets, stating that Spindler 'has admitted he was a Hitler Youth Movement member'. Spindler had no difficulty in putting the story in context, pointing out that he had never hidden the fact from the public, and that there was no choice in the matter as Jungvolk membership was compulsory. Spindler was comfortably elected, securing 13.9 per cent of the primary vote. In his first speech in the Senate on 22 August, Spindler stated that his vision for the future was 'based on the "she" society—sane, humane, ecological'. He intended to serve only one term as a senator, and he was determined to achieve as much as he could in that time. He was Democrats spokesman at different times for attorney-general's matters, treasury and finance, population, immigration, ethnic affairs, customs, trade, industry, regional development, veterans' affairs, defence, and housing. With a 'distinctly obsessive' drive and intensity, Spindler spoke very frequently in the Senate, and moved many amendments to legislation within his portfolios. He was active on a range of committees, instigating a number of committee inquiries, and authoring several dissenting reports. He was a frequent contributor to the press, either through newspaper or journal articles or letters to the editor. The Australian Democrats senators were in a position of some power in the Senate throughout Spindler's term, as when the major parties disagreed, each needed the support of the Democrats to pass any measure. Spindler was deeply involved in the final shaping of the Native Title Bill in late 1993, believing that the legislation should provide 'the basis for a just relationship between Aboriginal people and the rest of the community'. In his autobiography, Having a Go, published in 2008, he described the period in which he represented the Democrats in the extremely complex negotiations between the Keating Government, the Greens, the Democrats, and two Indigenous negotiating teams, as 'three of the most memorable weeks in my whole parliamentary experience'. Spindler was a member of the Legal and Constitutional Affairs Committee that examined and reported on the bill in November/December 1993, and he had thirty-five proposed Democrats amendments appended to the Report. While most of these were absorbed in government or Green amendments or otherwise superseded, the Democrats, led by Cheryl Kernot and Spindler, made a significant contribution to the final legislation. Driven by his wartime experiences, Spindler was determined to work for 'the elimination of institutional violence in all its forms'. He spoke out against Australian participation in the war with Iraq in January 1991, deploring the choice of the military option instead of a continuation of sanctions and negotiations. Spindler was prepared to act on his anti-war beliefs. He and other Democrats were present at protests against AIDEX, the Australian International Defence and Equipment Exhibition, held in Canberra in November 1991. Spindler raised concerns about federal police violence to the protesters, and assisted in the collection and lodging with the Commonwealth Ombudsman of ninety separate complaints. A subsequent report on the matter by the Ombudsman contributed to amendments to the Complaints (Australian Federal Police) Act in 1994. Spindler was involved in a peace and disarmament protest at the Nurrungar joint defence facility in South Australia in April 1993, and was arrested and fined for trespassing. In 1995 he travelled to Tahiti as a member of a group of anti-nuclear politicians protesting against the resumption of French nuclear testing on Muraroa Atoll. A damaging party crisis involving Spindler came about in 1991. Several years earlier, during a period of separation from his wife, he had begun a relationship with Janet Powell, who was appointed as an AD senator in 1986. Powell was elected party leader in July 1990, but twelve months later there was dissatisfaction with her leadership for a number of reasons, one of which was the influence Spindler was believed to have over her. This was regarded as 'very disruptive'. In August 1991, in an action later endorsed by a ballot of party membership, six of the eight AD senators voted in the party room to remove Powell from the leadership. In a public statement they cited as one of the reasons 'impingement of aspects of private life on party professional judgment', including Powell's suggestion, after Spindler reunited with his wife in May 1991, that he should resign. Despite the crisis, Spindler remained single-minded. He recalled that 'unpleasant though the environment was, the opportunities to bring about positive social change outweighed all other considerations'. Spindler believed that oversight of the National Crime Authority by the Joint Committee on the National Crime Authority, of which he was a member, was inadequate under the provisions of the National Crime Authority Act, and he sought to remedy this by an amending bill in 1990. Although Spindler's bill did not pass, he was happy to see some of the provisions of his bill incorporated in legislation passed in 1992 to strengthen the powers of the committee. The government also accepted Spindler's proposal to lower the threshold for refusal of approval of corporation mergers or takeovers from market dominance to a substantial lessening of competition, which became a recommendation of the Legal and Constitutional Affairs Committee in 1994, and was incorporated into amendments to the Trade Practices Act 1974. In December 1993 Spindler had been successful in moving an amendment to the Industrial Relations Reform Bill to include 'sexual preference, age, physical or mental disability as grounds on which discrimination is prohibited in an employment situation'. In November 1995 he introduced the Sexuality Discrimination Bill, the purpose of which was to 'prohibit discrimination on the ground of sexuality or transgender identity' across a range of areas covered by Commonwealth laws, including employment, education, industrial relations and sporting events. The bill also included prohibitions against 'the public incitement of hatred, serious contempt or severe ridicule'. Spindler knew that the bill did not have the support to pass at that time and the second reading debate was adjourned without a vote being taken. Six months later the bill was referred to the Legal and Constitutional References Committee, which, in its report of December 1997, supported the progression of the bill with some amendments. By that time Spindler had left the Senate, and the bill appeared on the Senate Notice Paper for at least ten years, 'waiting for enough hearts and minds to change'. On 8 May 1996 the Senate agreed to a motion by Spindler for the appointment of a Senate select committee to inquire into 'the adequacy of Commonwealth legislation in relation to casino licencing'. Spindler's speech on his motion, and the proposed title of the committee, 'the Victorian Casino Select Committee', made it clear that his primary objective was an investigation into the way in which the Victorian Liberal government, led by Jeff Kennett, had conducted the tender process for a casino licence in Victoria, resulting in the selection of the Crown consortium in September 1992. In December 1996 the Select Committee reported that it had decided not to continue with its inquiry because of advice relating 'to limitations on the Senate's powers to compel evidence from state members of parliament and other state office-holders'. On the day that the Casino committee was established Premier Kennett described it as a 'McCarthy-like inquiry', and declared that Spindler, having started his life in the Hitler Youth, would 'complete his public performance in very much the same way'. On the following day he claimed that Spindler had also been a member of the Nazi Party. Spindler easily refuted this allegation, and threatened legal action. Kennett withdrew his accusations and apologised. Although upset by Kennett's comments, Spindler used them, as he had earlier remarks made by senators that he was a Communist and Marxist, to draw attention to his work as an advocate for social justice. 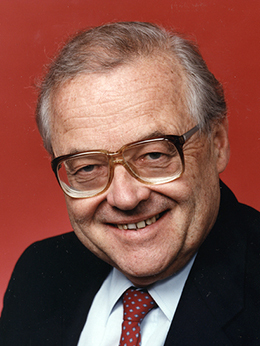 Sid Spindler did not cease his passionate and single-minded advocacy for social justice after leaving the Senate in June 1996. Having obtained unanimous agreement in the Senate in September 1994 to a motion calling on the government to participate in international measures to eliminate exploitation of children and to 'examine the feasibility of legislation to prohibit the importation of goods produced by child labour', he became a member of the Advisory Panel of Defence of Children International and a chair of the Anti-Slavery Society, and worked for Australian ratification of the International Labour Organization Convention on the Worst Forms of Child Labour. He continued to fight for the rights of Indigenous Australians, and was a founding member of the Victorian-based Defenders of Native Title in 1997 and the Victorian Deaths in Custody Watch Committee. In 2002 he co-founded with his wife Julia the Towards A Just Society Fund, which provides bursaries to Indigenous students to assist them in completing their education, especially at the post-secondary level. This entry draws throughout on Sid Spindler's autobiography, Having a Go, Midlands Heritage Press, Newstead, Vic., 2008; Handwritten notes by Sid Spindler in Records of the Australian Democrats Parliamentary Party and Whip's Office, 1981–2008, NLA MS acc. 08/92, Box 16; Age (Melb. ), 26 May 1996, Agenda 7; Daily Telegraph (Syd. ), 4 March 2008, p. 25. Spindler, Having a Go, pp. 132, 110, 111, 170; Handwritten notes, NLA MS acc. 08/92. Spindler, Having a Go, pp. 183, 192, 200; Australia Party: Principles and Policies, Australia Party, Syd., ; Tony Blackshield, 'The Australia Party', Current Affairs Bulletin, 1 July 1972, pp. 34–49; CPD, 22 Aug. 1998, p. 1998. CPD, 22 Aug. 1990, p. 1998; Spindler, Having a Go, pp. 245, 246, 326–34; Statement by Sid Spindler, Legal and Constitutional Affairs Committee, Report on the Native Title Bill 1993, Canberra, Dec., 1993, pp. 43–51; CPD, 15 Dec. 1993, pp. 4640–2, 17 Dec. 1993, pp. 5055, 5007, 16 Dec. 1993, p. 5497, 21 Jan. 1991, pp. 82–3, 2 Dec. 1991, p. 3735; Age (Melb. ), 22 Jan. 1991, p.12; CT, 29 Nov. 1991, p. 3; CPD, 24 Aug. 1994, pp. 199–201, 19 Oct. 1994, pp. 2093–4; Media Release, Senator Spindler, 2 Dec. 1991; Iain McIntyre, 'The AIDEX '91 Protest: A Case Study of Obstructive Direct Action', MA thesis, University of Melbourne, June 2011; CT, 12 April 1993, pp. 1–2; Age (Melb. ), 9 Sept. 1995, p. 15. Hiroya Sugita, 'Challenging "Twopartism": the contribution of the Australian Democrats to the Australian party system', PhD Thesis, Flinders University, July 1995; Spindler, Having a Go, p. 262; SMH, 20 Aug. 1991, p. 3, 22 Aug. 1991, p. 10; CPD, 21 Dec. 1990, pp. 6280–1, 26 Nov. 1992, pp. 3694–7, 9 April 1991, pp. 2098–2100, 19 Dec. 1991, pp. 5011–20, 5 Nov. 1992, pp. 2380–8. Spindler, Having a Go, pp. 285, 288, 291; Senate, Journals, 2 April 1992, p. 157; CPD, 17 June 1992, pp. 3759–66; Senate, Procedural Information Bulletin, 6 April 1992, 18 Nov. 1992, p. 2; CPD, 25 May 1993, pp. 1274–7; Independent Parliamentary Inquiry into Tariffs and Industry Development, Final Report, April 1993. CPD, 8 Dec. 1993, p. 4200, 9 Dec. 1993, pp. 4240–1; Media Release, Senator Sid Spindler, 29 Nov. 1995; Explanatory Memorandum, Sexuality Discrimination Bill 1995, p. 4; CPD, 8 May 1996, pp. 480–515; Senate Select Committee on the Victorian Casino Inquiry, Compelling Evidence, Canberra, 1996; Senate, Procedural Information Bulletin, 16 Dec. 1996, p. 3; CPD, 8 May 1996, p. 553; CT, 9 May 1996, p. 4; Age (Melb. ), 10 May 1996, p. 2; Media Release, Senator Sid Spindler, 9 May 1996; CPD, 7 Oct. 1992, pp. 1344–5, 8 Oct. 1992, p. 1437, 17 Oct. 1990, pp. 3226–7, 26 June 1996, pp. 2227–9. CPD, 22 Sept. 1994, pp. 1256–7, 11 March 2008, pp. 512–21; Age (Melb. ), 4 March 2008, p. 14. This biography was first published in The Biographical Dictionary of the Australian Senate, Vol. 4, 1983-2002, Department of the Senate, Canberra, 2017, pp. 461-466.